Lemon is considered one of the miracle fruits for our body. It not only refreshes our body but also takes care of our skin and Hair. Amazing, isn’t it? It helps our body in many ways: it kills the stubborn calories, strengthens our immunity system, cleanses our body and the list goes on. 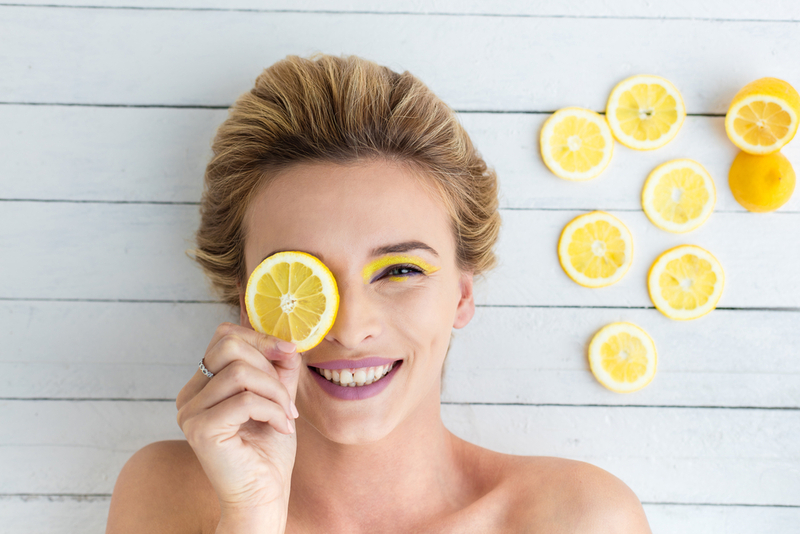 If you love using natural products, then I am sure you will fall in love with this fruit once you know the 15 benefits of Lemon for your skin and Hair. Do you have problems with dark pigmentation? Then lemon will help you out. It contains skin lightening properties. 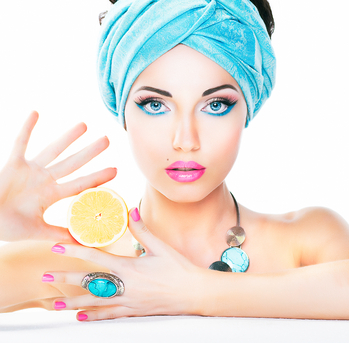 Applying lemon can reduce the dark spots and pigmentation on your skin. Just take some lemon juice and dab it on your skin. You will surely love the results. Stress and depression make people look older. 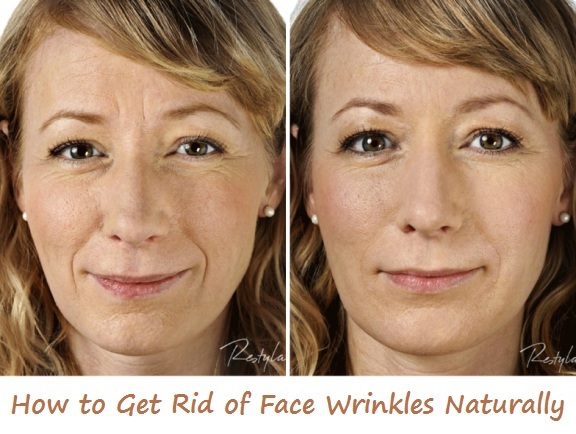 The aging spots and wrinkles start appearing earlier. 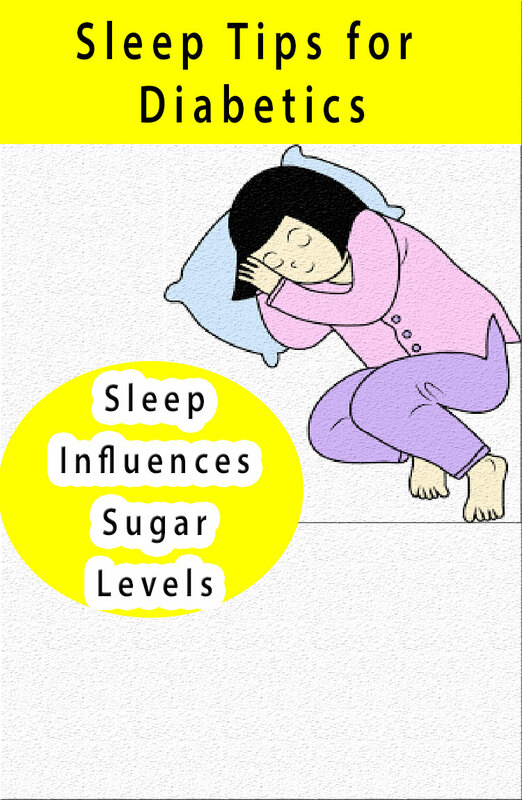 If you are going through the same problem, then you may try out the lemon juice. It contains anti-aging properties which help to reduce the wrinkles. It brings back the youthful glow which was lost due to work pressure and stress. Using a face pack of lemon juice and sweet almond oil gives a better result! People who have oily skin have to deal with pimples and blackheads. The excess oil accumulating on the skin pores doesn’t allow it to breathe properly. The dirt gets stuck to the oily layer of the skin making you look dull. Lemon juice reduces the oiliness as the citric acid present in this fruit helps in breaking down the oil molecules that block the skin pores. Apply a solution of water and lemon juice on your face daily to remove all the dirt and excess oil. Do you want to get softer skin? Then you should try out the lemon juice. If you have rough skin on elbows and knees, then applying lemon juice can help soften them. Not only the juice but rubbing the lemon peel on your skin can also make your skin healthier and softer. It works as an exfoliator and natural tonic. If the juice and peel don’t work, then you may try out lemon oil to fix all the dry and rough skin. During the hot summer days, we face the problem of dry lips. Most of us simply lick our lips to moisturize but that doesn’t really moisturize it. Instead, you may use a natural balm made of lemon juice, cream, and honey. 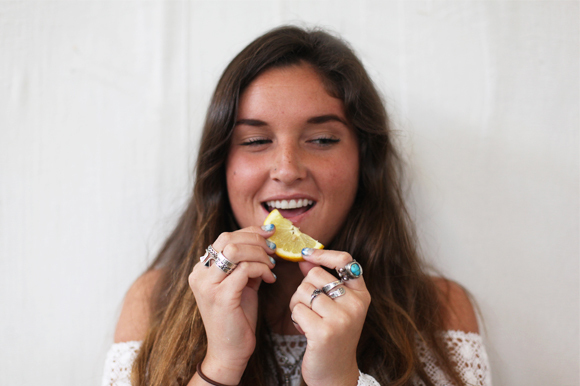 The lemon juice helps heal the chapped and sore lips and moisturize it at the same time!! Is the dark skin patch in your armpit not allowing you to wear your favorite off-shoulder dress? Then fret not! 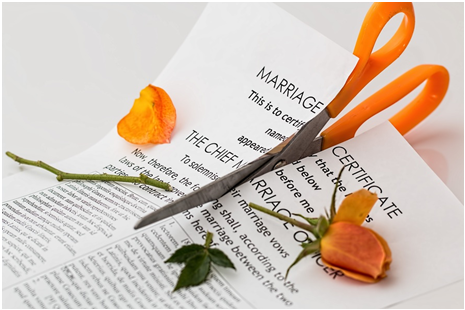 There is a natural and a safe way to reduce the dark patch. 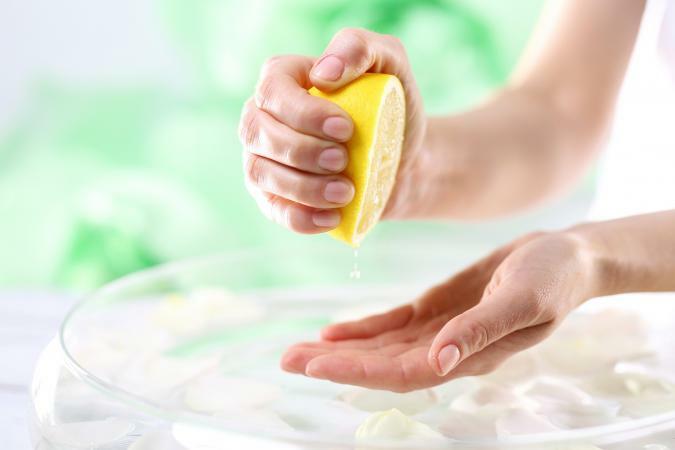 Just slice a lemon and rub it on your armpit or dab the juice with the help of a cotton ball. This will reduce the dark patch within a week and you can easily rock your dress to any party without any embarrassment! We all love beautiful, long nails so we can apply our favorite nail paint. But most of us have dull and brittle nails. If you also have such nails then lemon can help you get beautiful, strong nails instead. 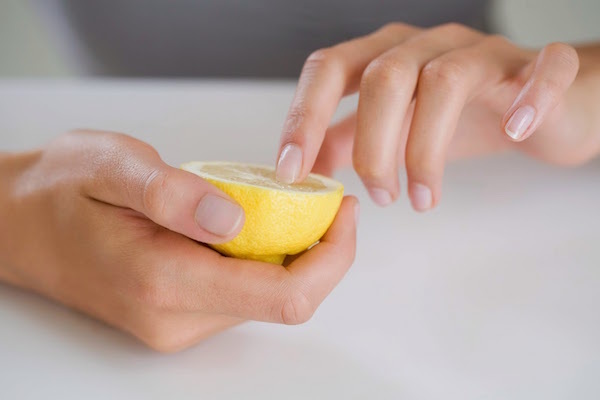 You simply need to apply lemon juice on your nails. The lemon juice reduces the yellowness and dullness of the nails within a week time. If you apply on a regular basis, the results are much better. Having acne on your skin is quite troublesome. It makes your skin unhealthy and looks duller. 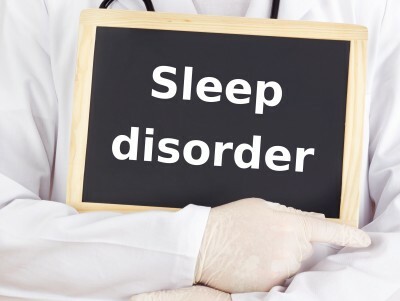 If not treated properly, these can also lead to serious skin problems. But don’t worry, this wonder fruit can help you out. Lemon juice contains Vitamin C and alkaline. Both of them work together to kill the harmful bacteria on your skin and make your skin look more lively and bright. 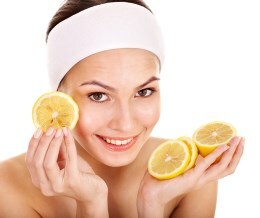 Applying a face pack of lemon juice can yield better results! Is the skin tone difference on your arms stopping you from wearing your favorite sleeveless dress? well, don’t fret as lemon juice will come to your rescue. Most of us want to rock in sleeveless clothes during the hot weather. But the dull and rough arm skin forces us to cover those areas. However, applying lemon juice helps in healing the rough skin patch on the elbows and brightening the skin tone. 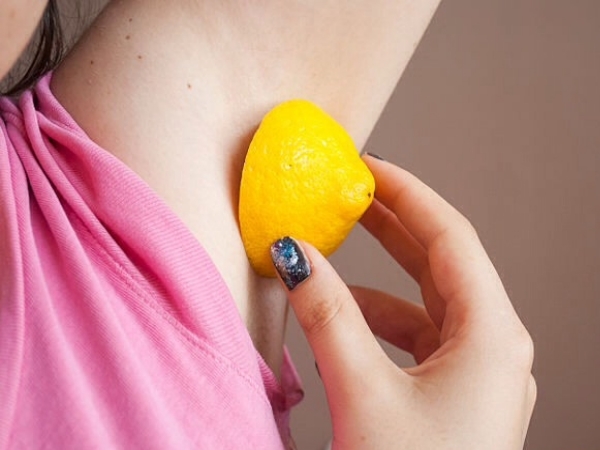 You simply need to dab the lemon juice on your arms and within a week’s time, the lemon juice will start showing it’s magic. 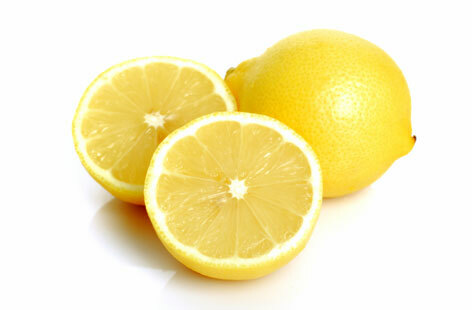 Lemon is used in many hair products to fight off common hair problems such as dandruff and hair fall. But if you use directly the lemon instead the benefits are much better. It consists of Vitamin C which strengthens the hair follicles and makes your hair stronger and longer. Massaging a paste of Lemon oil, castor oil and olive oil on your scalp helps in healthy hair growth. 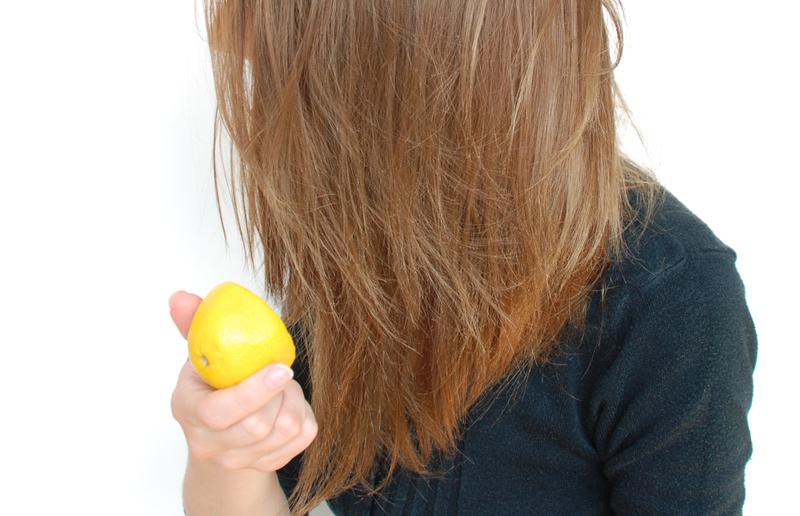 If you have dry and frizzy hair then you should definitely use lemon for your hair. It contains a compound called Limonene which adds life to frizzy and dry hair. Massaging lemon oil mixed with coconut oil gives you stronger and smoother hair. Exfoliating scalp is one of the essentials for healthy hair and scalp. The acidic property of the lemon removes the dead cells and harmful bacteria from the scalp. If the scalp contains dirt and dead cells it hampers the growth of hair. For making a scalp exfoliator you need to make a solution of White vinegar and lemon juice and apply it on your scalp. Wash it off with a mild shampoo after 10 minutes. The dirt accumulation may give rise to fungal infections on the scalp. Some fungal infection is so severe that it even leads to hair loss. So, use lemon oil to massage your scalp on a daily basis. The anti-fungal properties of the lemon help fight the growth of fungus on our scalp. It also cleanses the hair follicles and reduces the growth of harmful bacteria. Just like dryness of the scalp can cause hair problems in the same way excess oil formation in your hair follicles can hinder proper hair growth. Using Lemon oil on your scalp maintains the oil content of your scalp. It breaks down excess oil molecules in your hair and doesn’t make your hair sticky even during the hot summer days. If you are afraid of the damage due to artificial highlighting but still want to get it then you should try out the lemon juice. Lemon juice is a natural product and it’s much safer than the artificial one. 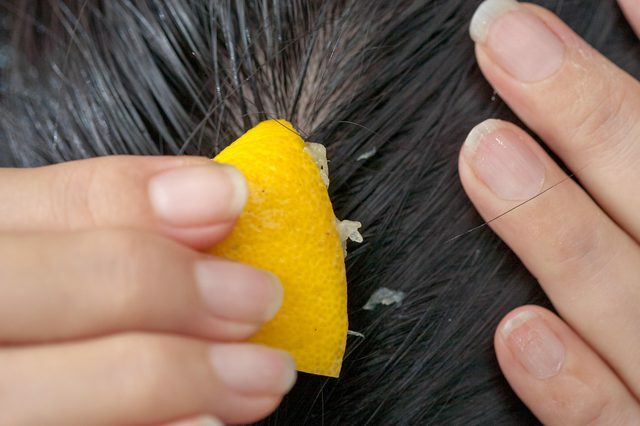 You simply need to put lemon juice on few strands of your hair and leave it under the sun for some time. 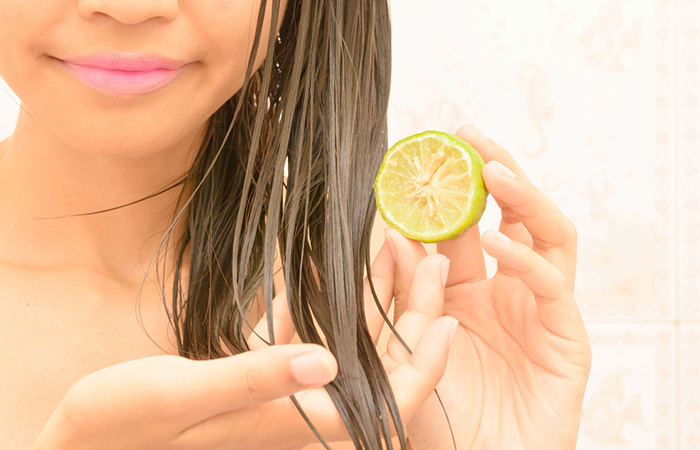 The lemon juice will work its magic and lighten your hair strands naturally. Do not use it on open cuts or unhealed wounds. Do not use artificial lemon juice. Do not overuse the lemon juice as it is acidic in nature. 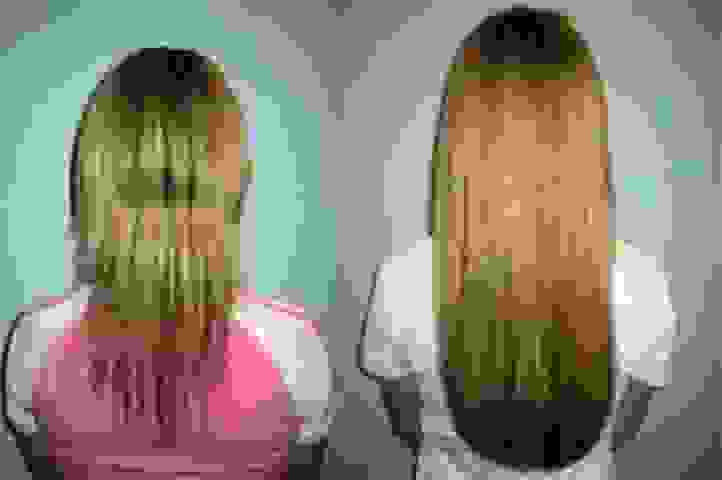 Do not leave it on your hair for more than 10 minutes as it is a bleaching agent. Learn about lemon in the Kitchen Dictionary – Food.com: Talk with your mouth full .